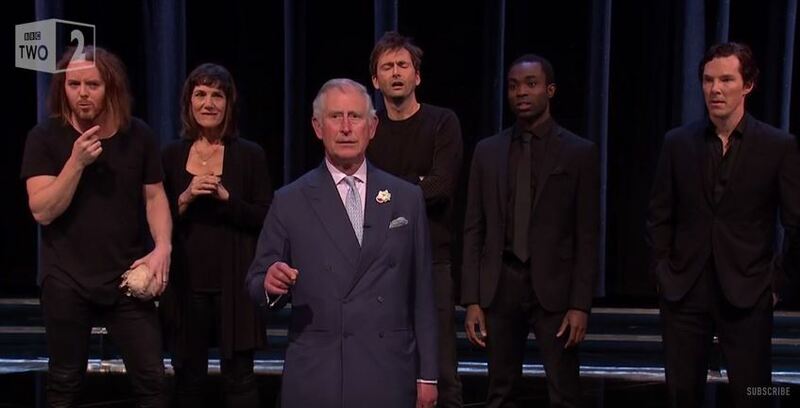 Shakespeare Live can be viewed online (for UK residents) over at BBC Iplayer. Shakespeare and Sherlock fans might also be interested to know that TV movie The Hollow Crown: Richard III, which will feature Cumberbatch as the hunchbacked king, will air next month. Get tunnelbear. My husband is British and we can watch bbc online using tunnelbear. Hmm, I just installed Tunnelbear, and I still can’t watch. I am in the US and it plays on mine. I’m also in the US and it played for me too. Aside from Judy Dench, who is the woman in the sketch? I think she’s the only one not named in the description. That’s Harriet Walter.. If you want to watch outside the UK, just click on the red arrow on the video. Don’t click on the BBC hyperlink, unless you are in the UK. How unfair not to be able to see this. Sometimes crappy to be a Yank. so smallminded. Don’t they realize that Shakespeare belongs to everyone? So old-fashioned.